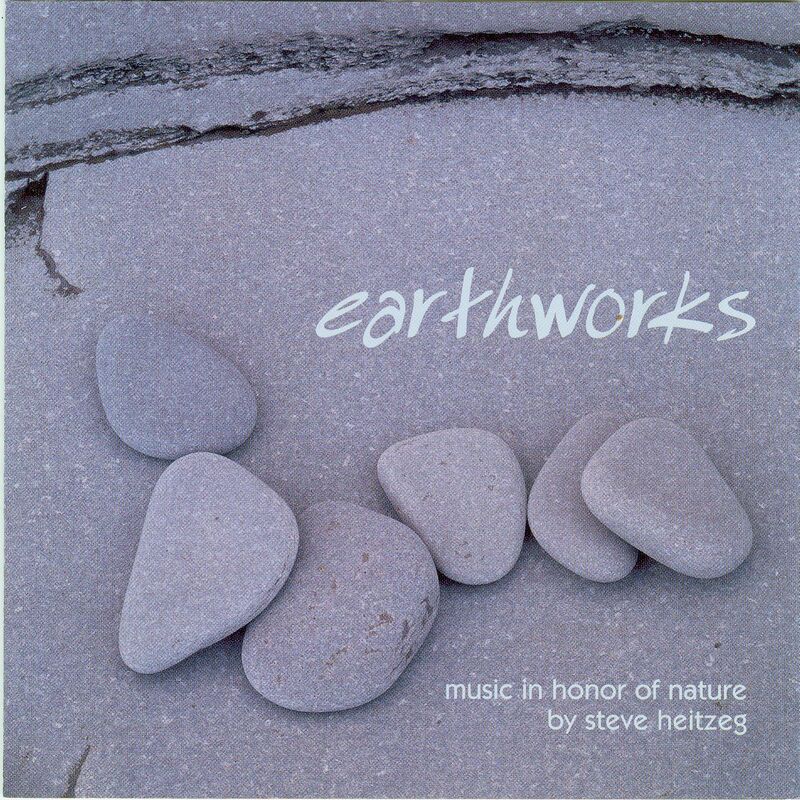 EARTHWORKS, a debut recording featuring the music of Minnesota-native composer Steve Heitzeg, is an intimate collection of Heitzeg's works in celebration of the natural world that are given stellar performances by acclaimed musicians flutist Julia Bogorad, soprano Maria Jette, cellist Laura Sewell, the House of Hope Children's Choir and Zeitgeist. "I believe that music is nature, nature is music," says Heitzeg, who grew up on a southern Minnesota dairy farm. "We must work for the peaceful coexistence of all species through music." With such themes uniting Heitzeg's work, EARTHWORKS offers pieces inspired by turtles (Endangered, featuring Laura Sewell on cello), Native American culture (Pipestone Peace Pipe, performed by Bogorad), and ravens and crows (Raven and Crow: Medicine Birds, performed by Zeitgeist). O, Colored Earth is "a simple song for peace" that features the House of Hope Children's Choir, Elizabeth Shepley music director. Maria Jette is featured in three songs: Hurt Not the Earth, Webassin and istimbe. To Heitzeg, "the art of composing is essentially about listening, both to oneself and to one's environment." On the new disk, listeners are called upon to hear the sound of stone, birch bark and pine cone wind chimes, loon calls, crow calls and corn husks. Through using such naturally-found instruments in his works, Heitzeg seeks to symbolize for the listener the interconnectedness of humans with each other and with nature. "It is not enough for composers to simply write music anymore," he says. "An artist has a greater responsibility than that. The music I compose needs to have a social conscience, or I shouldn't be writing at all." Heitzeg's compositions have been performed by the Minnesota Orchestra, Atlanta Symphony Orchestra, Utah Symphony Orchestra, Houston Symphony, The Philadelphia Orchestra, the Dale Warland Singers and numerous other orchestras, chamber ensembles and solo artists across the country. His score for the PBS film A Marriage: Georgia O'Keeffe and Alfred Stieglitz (starring Jane Alexander and Christopher Plummer) was premiered nationwide on PBS's American Playhouse Series in 1991. His orchestral setting of Debra Frasier's book On the Day You Were Born was recorded by the Minnesota Orchestra and released as an award-winning animated video in September 1997.